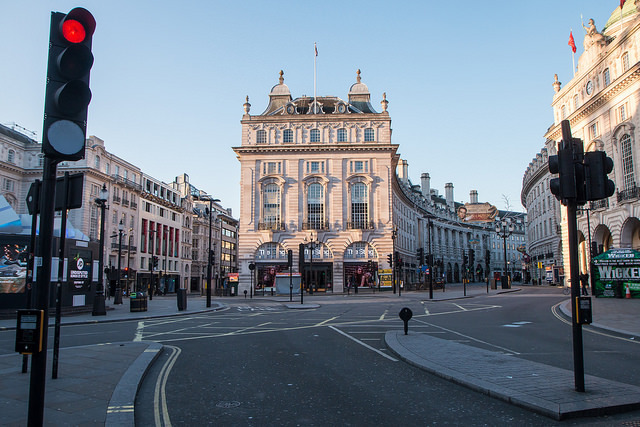 What a difference a day makes — this beautiful photo of the deserted city was taken by Zefrographica from the Londonist Flickr pool. Grisly exhibits from the Met's secretive Black Museum — including death masks, nooses and possibly even the 'From Hell' letter supposedly written by Jack the Ripper — could go on display if talks between the Museum of London and the force are successful. Foreign investors are "increasing their grip on property in the capital", says the Guardian. Some very hardy souls got up yesterday to swim in the Serpentine at Hyde Park. The Kids Company charity dished up Christmas dinner to thousands at The Oval yesterday. People who hadn't spent enough money at Christmas queued up in Oxford Street from 7am today to dent their bank balances further. A Londoner who survived the Boxing Day Tsunami remembers that awful day 10 years ago.